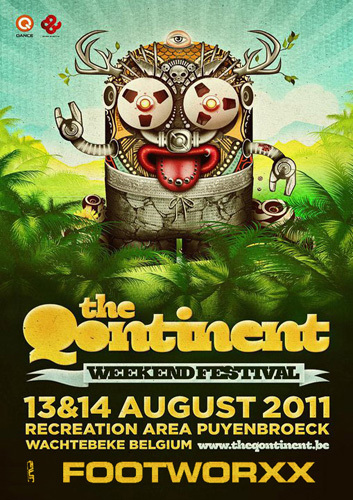 The Qontinent is unique within the harder styles scene. It's the only multi-day harder styles festival and takes place on Saturday the 13th and Sunday the 14th of August at the recreation domain Puyenbroeck in Wachtebeke, between Antwerp and Ghent. On Sunday Footworxx brings you the finest core, the second day on this festival but still going strong, bring good dancingshoes, madness on the floor assured !